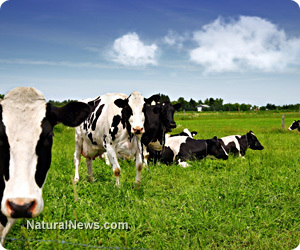 (NaturalNews) All of those antiquated government talking points about the alleged dangers of drinking raw milk have once again been debunked, this time by a series of scientific risk assessments recently published in the Journal of Food Protection. A press release published in the Wall Street Journal (WSJ) explains that, based on the results of three new quantitative microbial risk assessments (QMRAs), as well as the review of dozens of other scholarly papers on the subject, raw milk is very clearly a low-risk food that is generally safe for everyone, including pregnant women and young children. Distillery dairies were eventually decommissioned and replaced by real farm dairies, which eliminated virtually all the risks associated with raw milk, but the "science" behind milk pasteurization became crystallized into the American psyche thanks to tremendous pressures by many state departments of agriculture and the U.S. Food and Drug Administration (FDA). The FDA, as many NaturalNews readers are well aware, still clings to the outmoded theory that all milk has to be pasteurized in order to be considered safe.